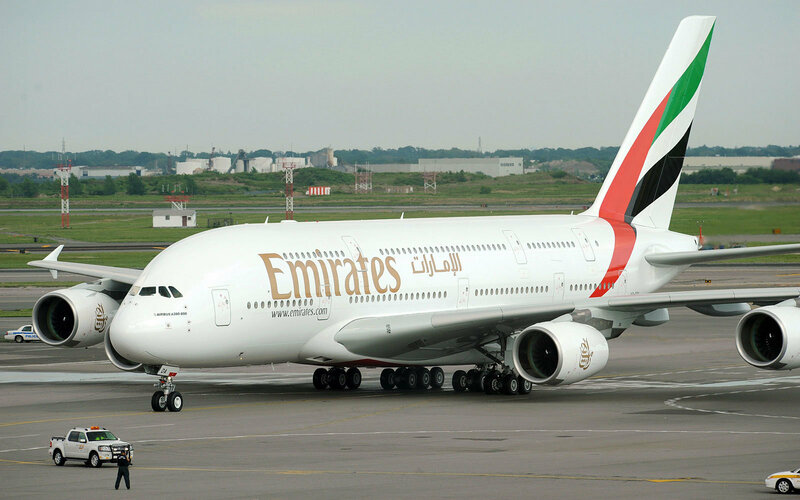 (P1) Casey Neistat lived out a personal fantasy when he was given a free upgrade from business to first class on a recent Emirates flight from Dubai to New York City. (P2) Documenting every luxurious moment in a video he uploaded to his YouTube account, Neistat gives viewers a look at what it’s like to have one of the most glamorous flight experiences imaginable, which would have cost $21,635.30 if it weren’t for the upgrade. (P3) The YouTube personality starts his 14-hour journey by closing the doors to his pod, yes, this airplane seat has doors and checking out some of the amenities. Toiletry kits, including a variety of moisturizers, and other bath products are stowed throughout the pod, and one amenity bag included pajamas and slippers. (P4) While checking out his personal touch-screen TV, Neistat was able to enjoy some of the snacks as well as the in-pod mini-bar. When he wanted something more substantial, he ordered a dish of caviar from the menu. (P5) After converting his seat to a bed and having a few hours rest, Neistat reserved his spot in the shower and went to freshen up before landing. The large shower was complete with spa-like amenities, including high-end products and piles of soft towels. (P6) “Dreams do come true. I am showering on an airplane,” he says in the video, which has garnered more than 8.2 million views. (P7) Neistat has made a career for himself traveling around the world and documenting his adventures on social media. Would you pay $21,635.30 for a first class ticket? Why or why not? Do you think the cost for first class plane tickets is too expensive? Why or why not? Would you like to be a professional traveler? Why or why not? What did he order from the menu? What is Mr. Neistat’s job?